Headache. Nausea. I have them, but high winds and icy rain are the main culprits for the failure to reach the glacier. No one in the refuge dares to venture higher. The estimated 80 km/h winds would be dangerous on that initial steep rock climb. 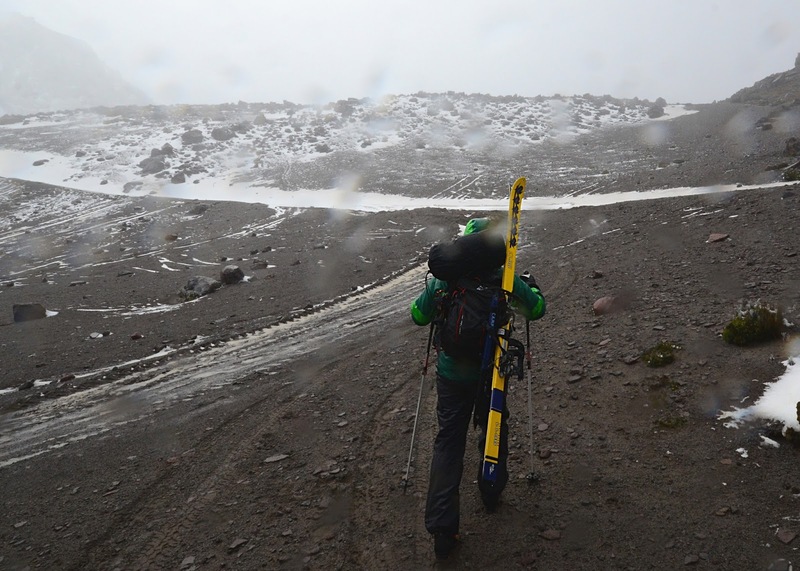 Particularly with skis on the backpack acting as sails. So we all stay put. 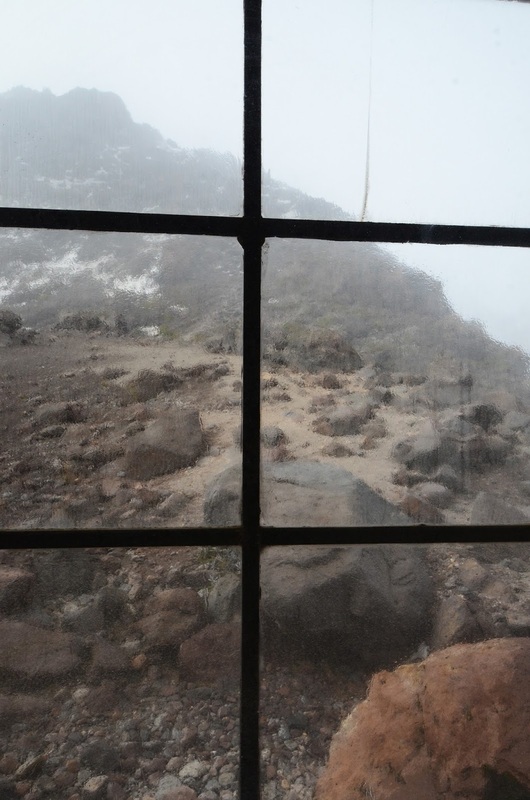 This is my second visit to the 4,600 meter refuge. The first visit was a 300-meter hike, but I returned in the evening to lower altitudes for acclimatisation purposes. The second visit was to last two days and one night, and include one practice climb to the glacier's limit and one night climb to reach as high as possible. Not sure how high I would have gotten, probably at least to 5,000 meters, maybe a bit higher. 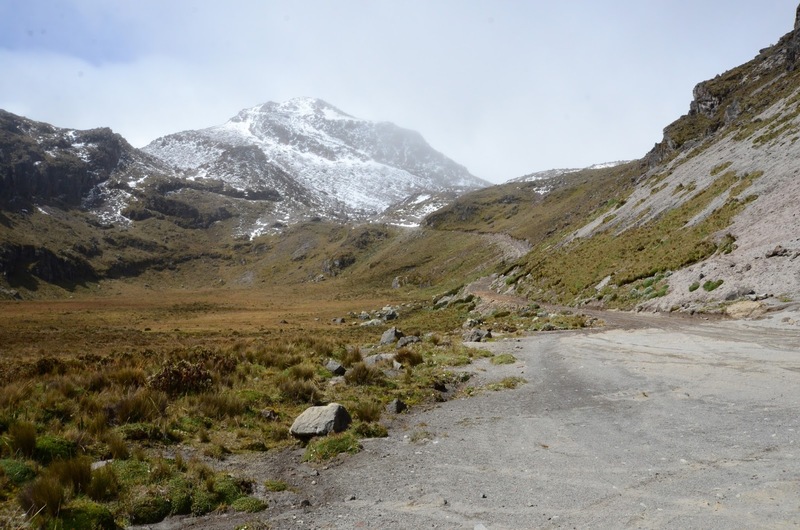 The mountain itself poses almost no altitude limits - Cayambe, a volcano in Ecuador reaches to 5,790 meters. The interesting aspect of Cayambe is not that it is high. 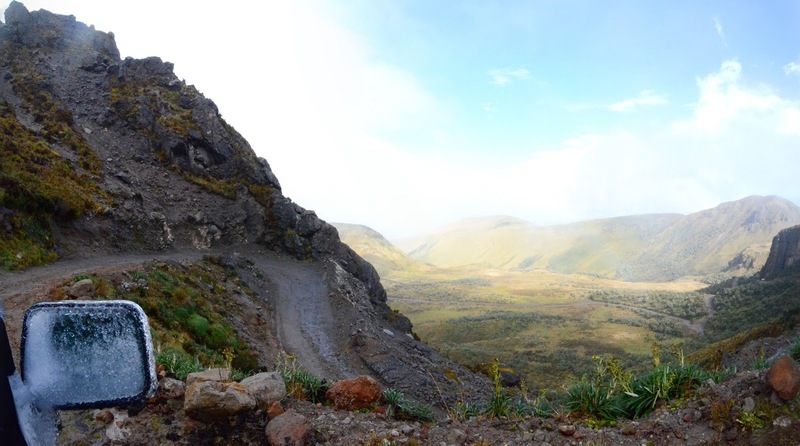 It is not even as high as some of its neighbours in Ecuador. 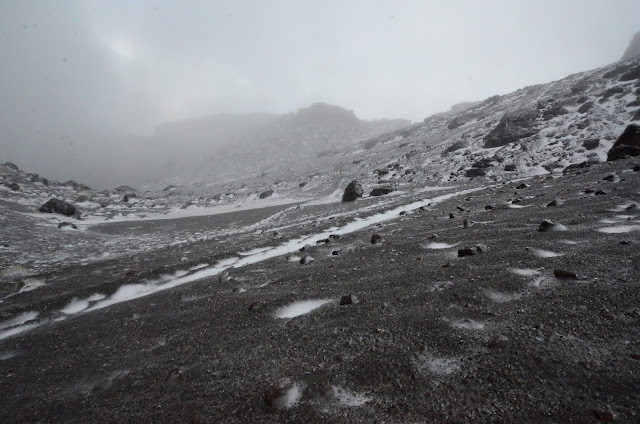 But Cayambe is the only place on the equator that has snow. 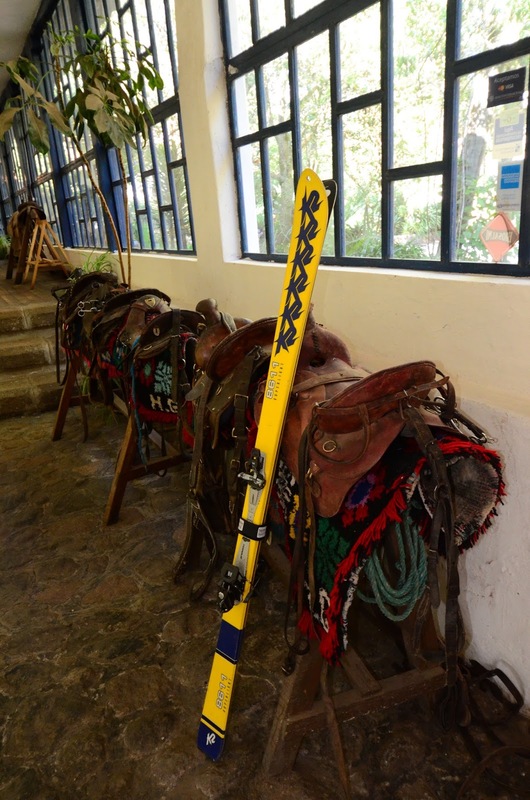 I'm here to ski on the equator. But the storm does not relent. Two days pass, and I feel even more sick. I'm tired of trying to sleep in the sleeping bag. The weekend is soon over and I have to get back to work. We have to go back down. But first things first: skiing. There are spots of snow near the refuge. I decide to hike up a steep gully, sheltered from the wind. 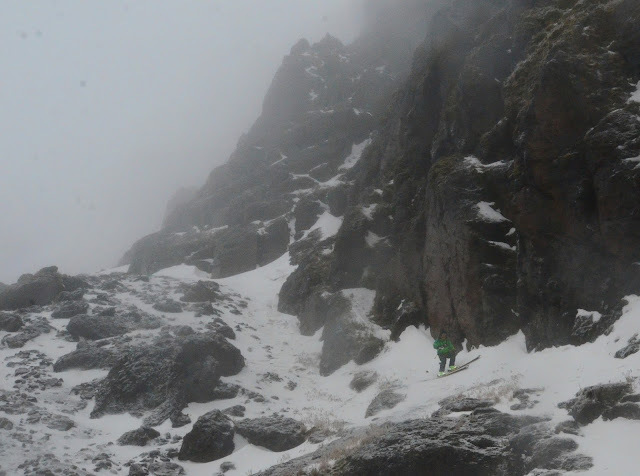 The skiing will be tricky, however. The snow covers barely a ski's length. The gully would continue higher up, but I start skiing down from 4650 meters. 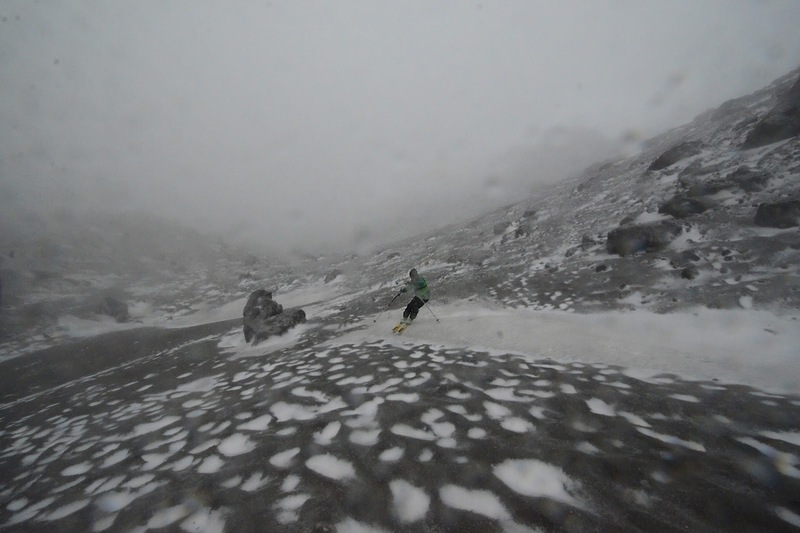 The descent is mostly side stepping, but once I reach the sandy slope, there is enough snow for proper skiing. 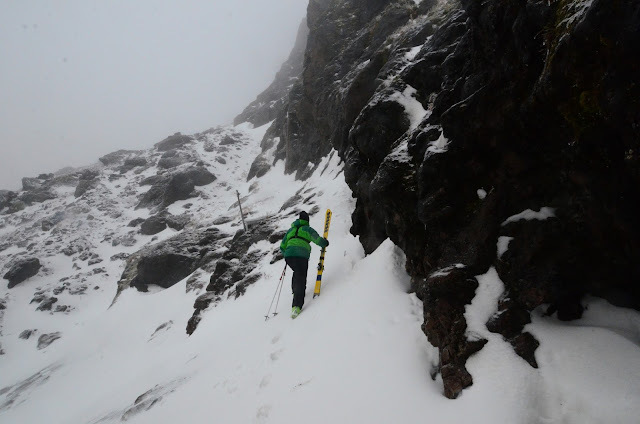 I take my skis off for a moment and fight my way back through the wind to the other side of the ridge. I find more snow, skiing almost all the way to the car. I have skied perhaps 100 meters of vertical. Country #38 is in the bag. Time to pack up and ride the car down. 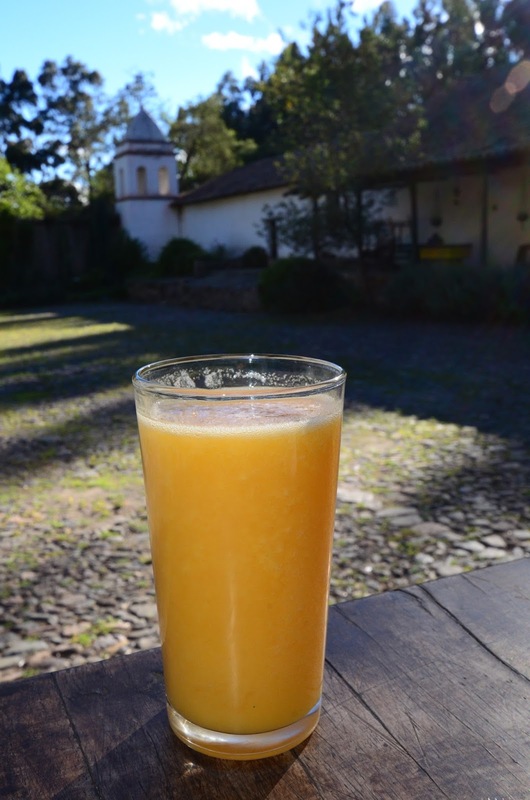 Is this a success or failure? 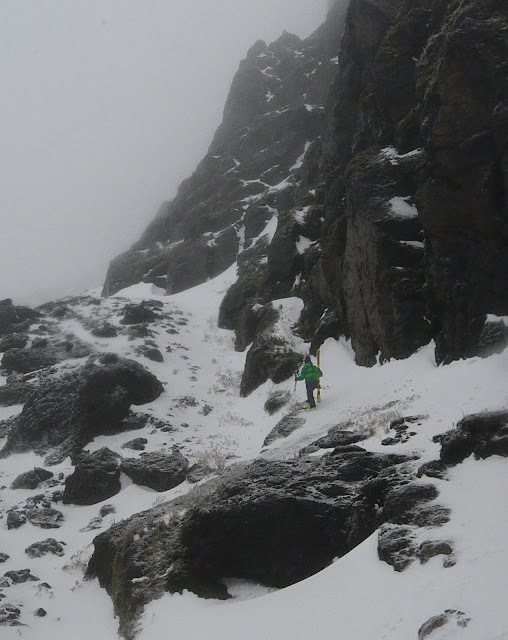 A weekend that involves skis, crampons, ice axes, and sleeping bags cannot be all bad. And I got to ski! 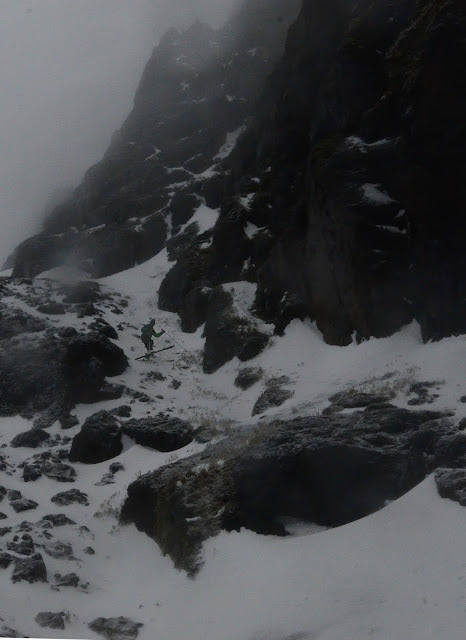 And while I didn't get that high, maybe it is a good sign that I didn't try foolishly to go against the conditions. 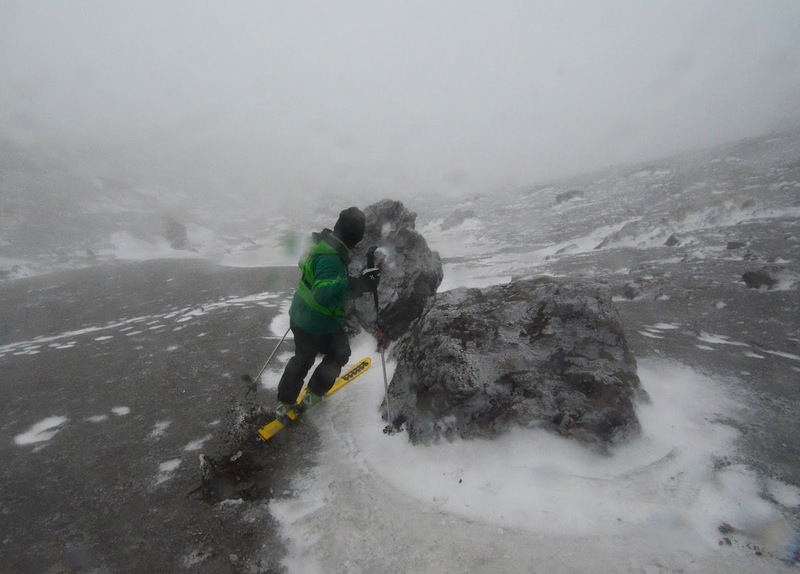 As my guide Marco said, "You have to respect the mountain, the conditions, and yourself." You can go only as far as those three elements allow you. The three-storey hut sits at 4600 meters, on a ridge next to a steep step towards the glacier. 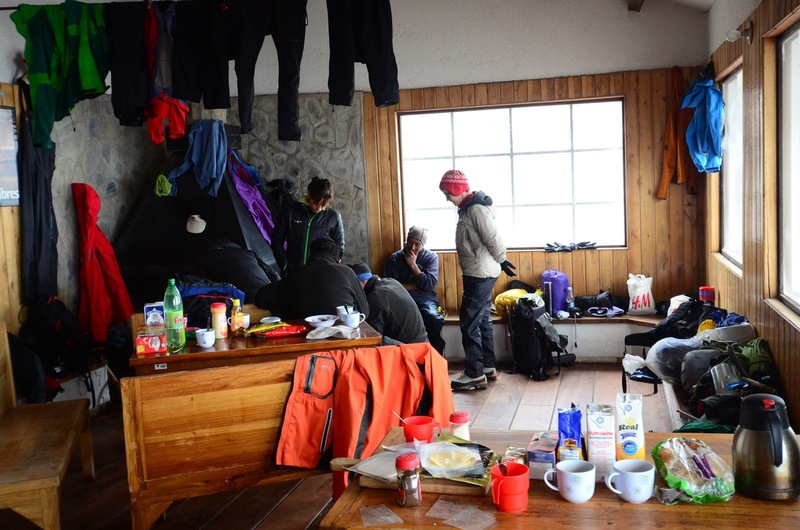 The hut can house dozens of climbers and hosts a kitchen, simple bathroom, and two fireplaces. 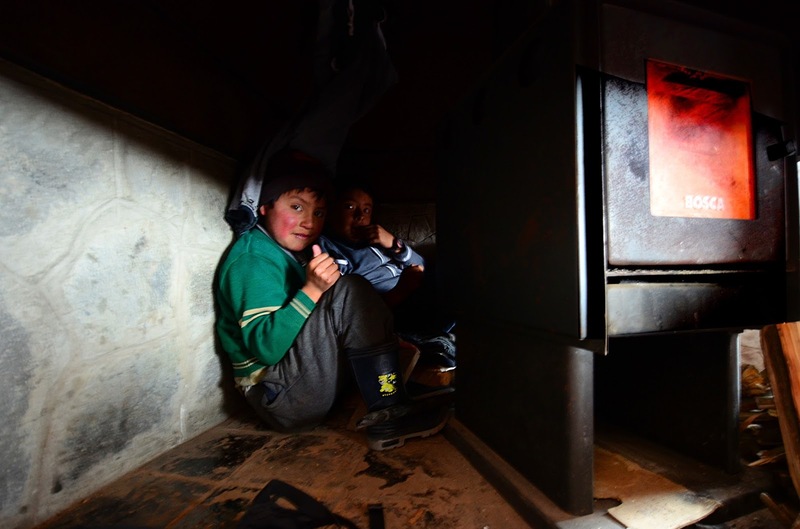 The mere 100 meters that we had to climb from the car on the second attempt had caused all of our clothes to be soaking wet (Gore-Tex or not), so the westerners huddled around the fireplace. It took all day to get ourselves dry. 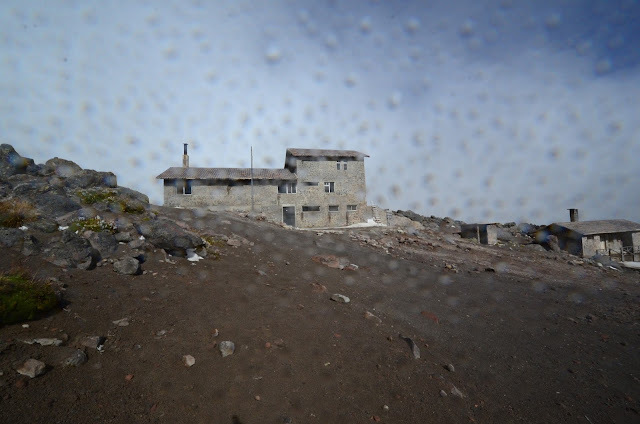 The hut's rangers do not live on the hut; they travel to it on weekends if there are climbers. This time they joined us in our vehicle, along with their small kids who undoubtedly liked to join their fathers on the hut weekend expedition. 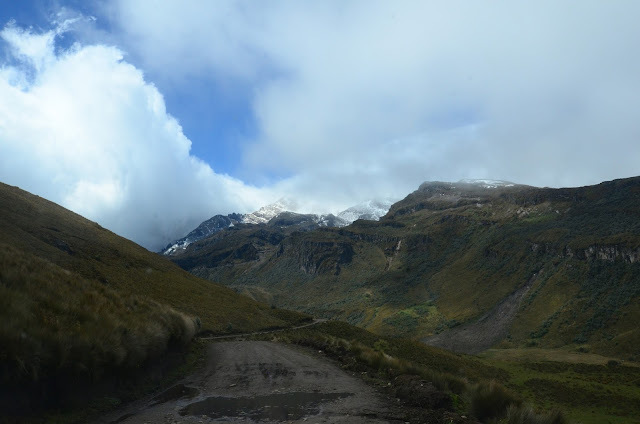 A road takes prospective climbers from the town of Cayambe all the way to the refuge at 4,600 meters. 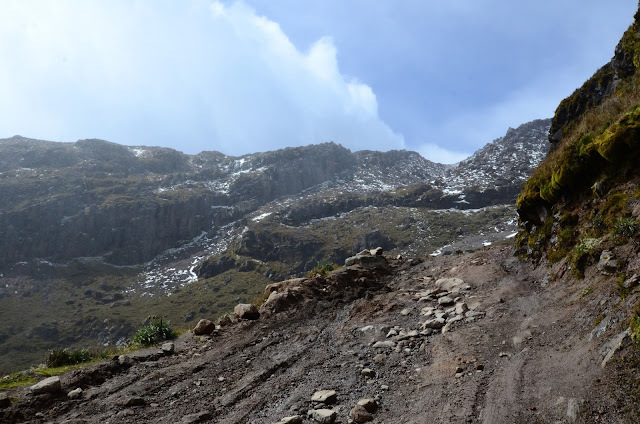 At first, the road is a stone-paved, narrow road, but turns into a difficult dirt road at around 4,000 meters. 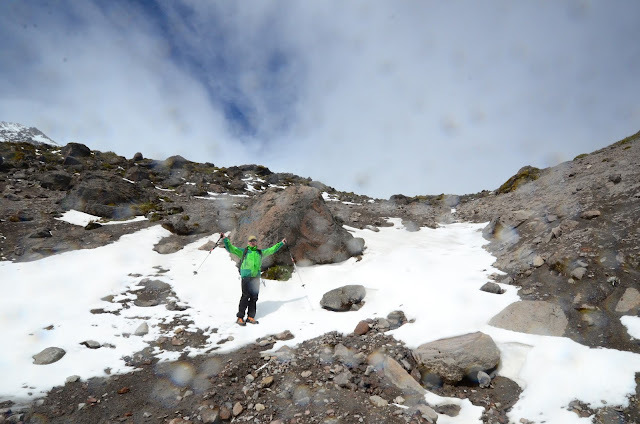 On our two attempts to climb on Cayambe, we got to 4,300 meters and 4,500 meters, as snow and road conditions prevented further ascent. 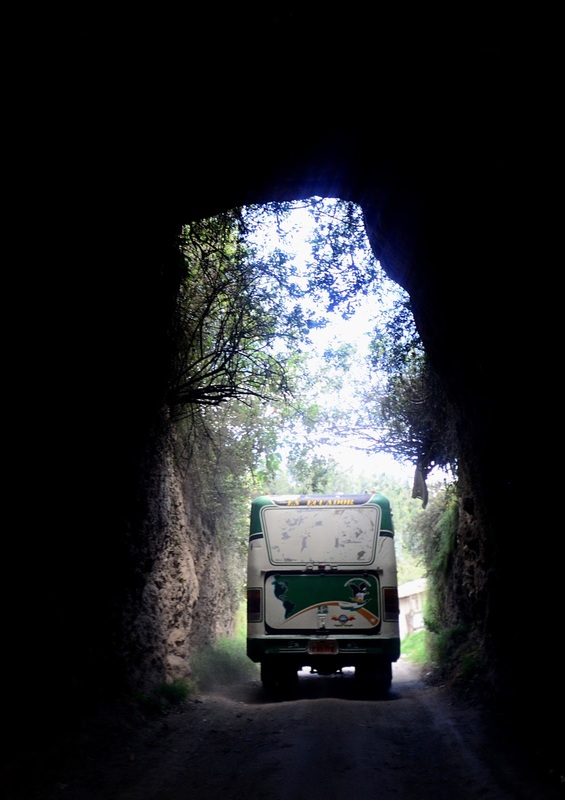 While I have been on many high roads, this one holds my altitude record. 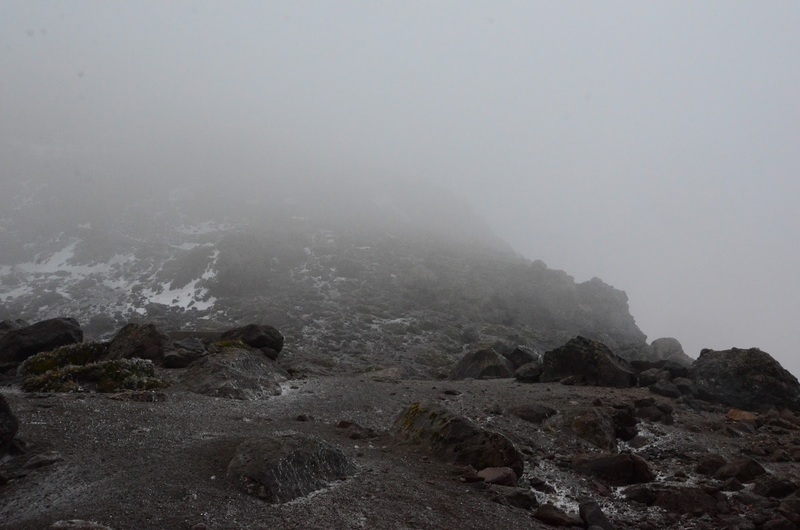 The glacier starts at 4,900 meters. The initial parts are less steep than on the more famous Cotopaxi, and hence less crevassed. 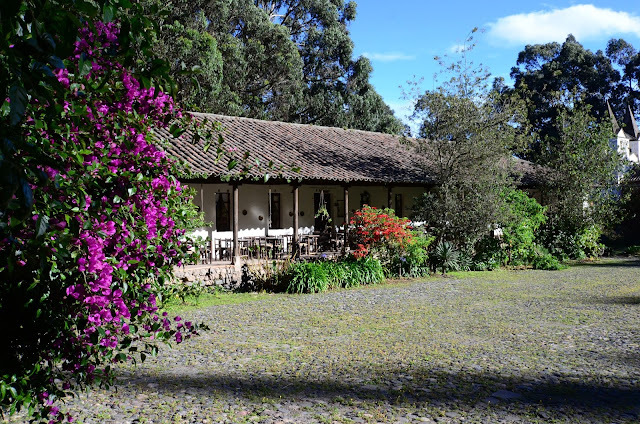 Cayambe is a 2-3 hour drive from Quito. 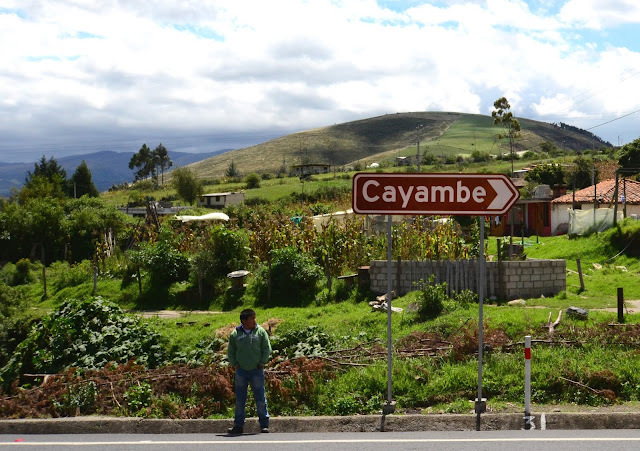 The nearest town is also called Cayambe. It is a medium-sized, nice town with plenty of shops and markets. I was particularly interested in buying local costumes, which were in good supply. The prices were surprisingly high, however. 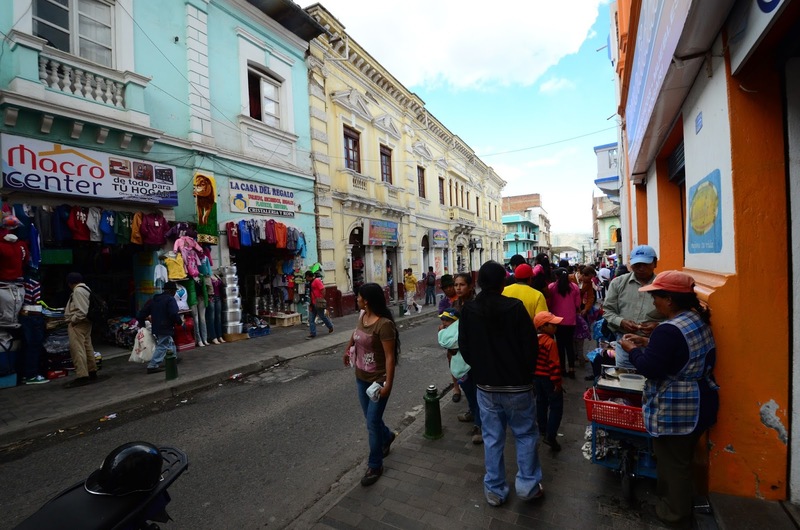 Ecuador uses US dollars as a currency. 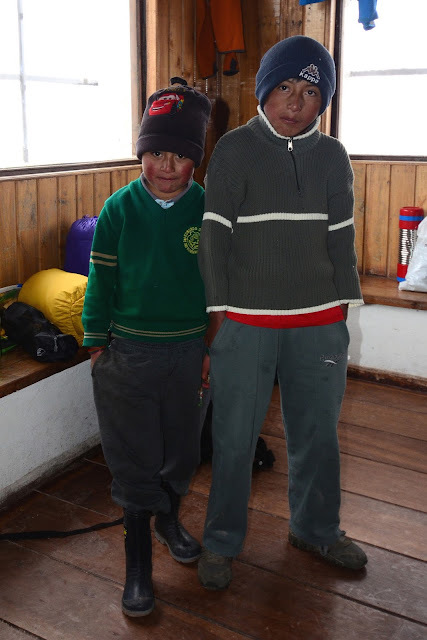 I used Andean Face as my guide agency, and was generally pleased with their inventiveness to come up with solutions on my odd request to ski in Ecuador. 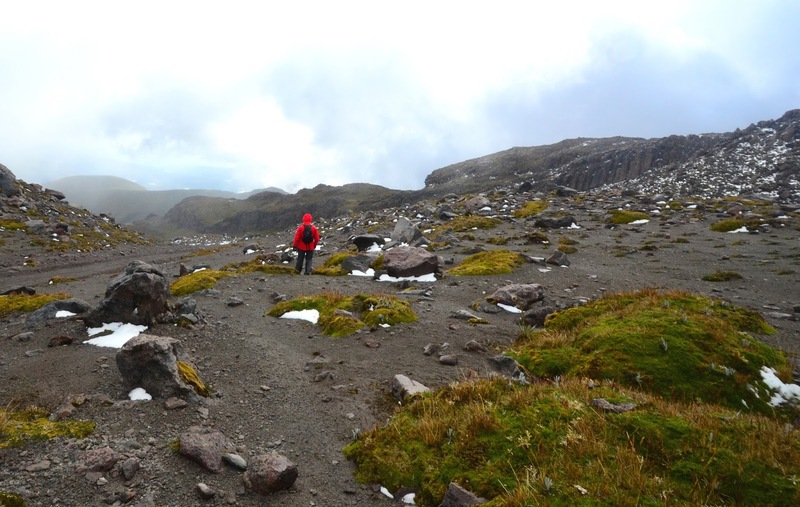 At first, I was going to try climbing Cotopaxi, but its steeper, highly crevassed glaciers convinced me to take the guide's advice to try Cayambe instead. The one "low altitude" night that I spent in Ecuador was at Hacienda Guachala, a historic farm from the 14th century. There was no warm water in the shower, but the place is full of history. 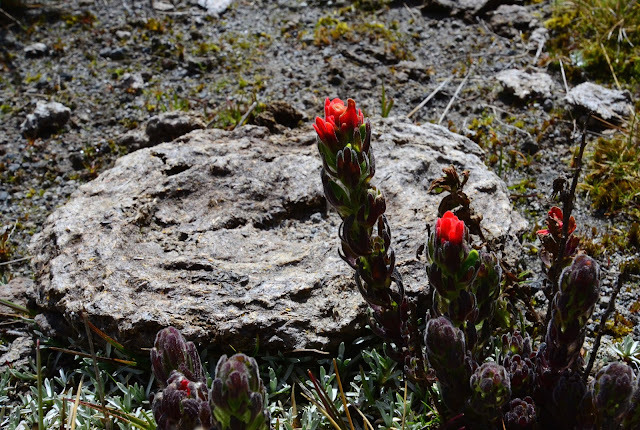 It sits at 2,800 meters. Photos and videos (c) 2013 by Jari Arkko. Tämä blogi on myös saatavissa suomeksi. I'm slowly reading your blog. As a skiing geographer that some friends and colleague at work call fanatical, I am fascinated by your quest of skiing the planet. I have a bunch of questions on which countries are part of your list of 38. I guess I'll find out as I continued checking out your older posts. Did you ever ski Venezuela? The first time I went to California, some people didn't realize there was snow in California. Mind you as many Americans have stereotypes about the climate in Canada, many Canadians have similar stereotype regarding other part of the World. I get strange looks when I'm still skiing in May when its 25c outside and ski hill (St-Sauveur) (wonders of the accumulated artificial snow from the season). Thank you for the reference. I have many old posts written in ski forums that I still need to rework. Many of them are centered on where I ski for the Trip Reports...there is the occasional crazy adventure. I also post old brochures (Monday Mad Addict's Attic) and post video clips (Friday Night Video) once a month.